A nice study in light, shade, shadow and form. 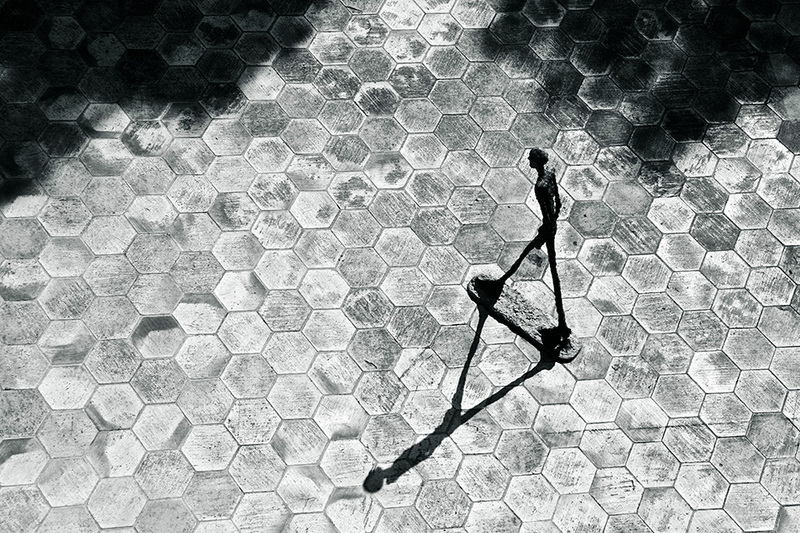 The relationship between the Giacometti figure, its shadow, the tiled surface, and the shadows casts by nearby trees, grabbed my interest. Technique: A red-filtered B/W in-camera conversion, output to JPG.